I love my name. I’m not sure why. Ever since I was a child, I have LOVED being an “AMY!” I think that all of us think our name is special. Our school is special. Our hobbies are special. These things define us. They matter. 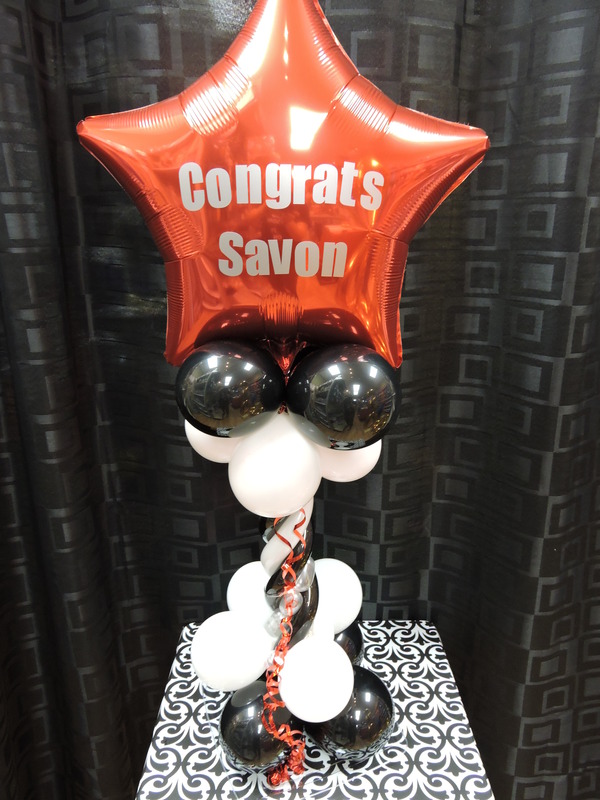 At our store, we strive hard to help our customers CUSTOMIZE their event. 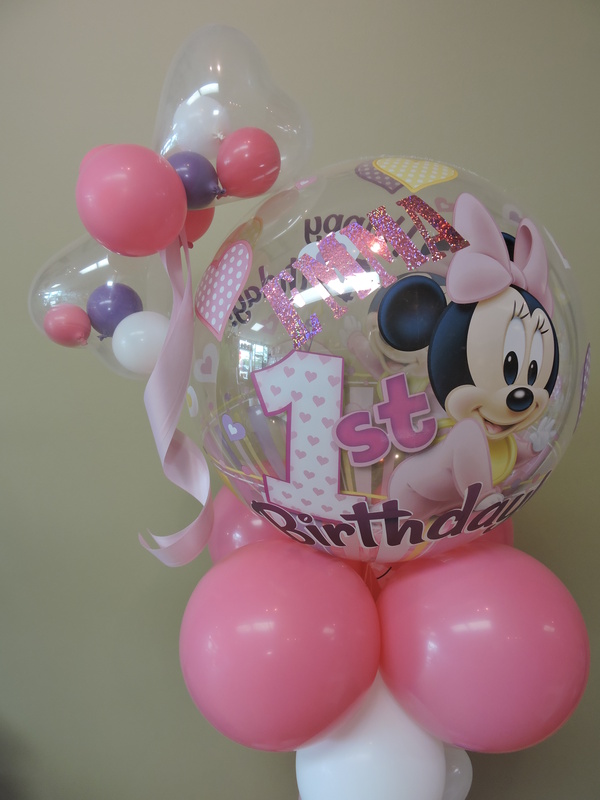 Whether it’s the name of a newly engaged couple on a balloon…..the name of a new baby or a baby-to-be on a balloon or the name of our favorite birthday girl or boy on a balloon….we realize that THESE THINGS MATTER. 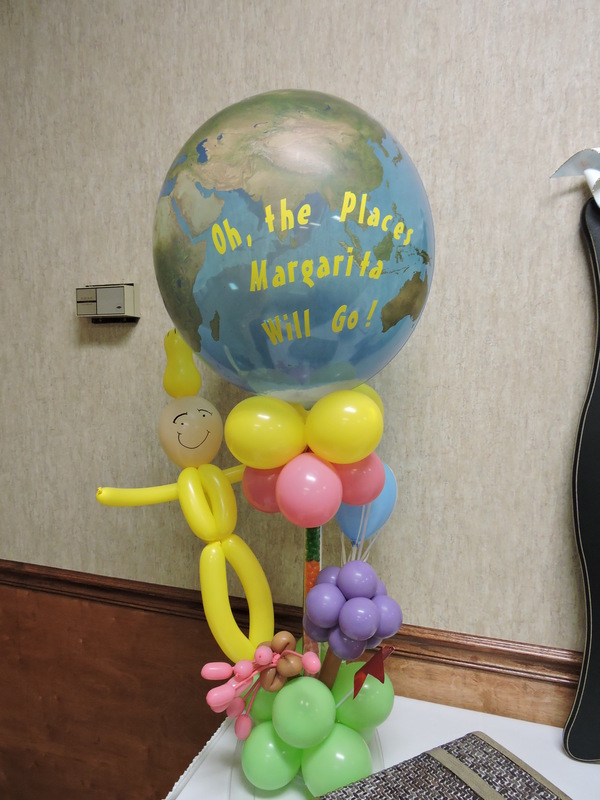 Here are our FAVORITE CUSTOMIZED balloon projects. All are available by calling us at It’s My Party. 219-322-7777. Located just 20 miles from Chicago, we serve the whole Northwest Indiana and South Suburban Illinois Region. 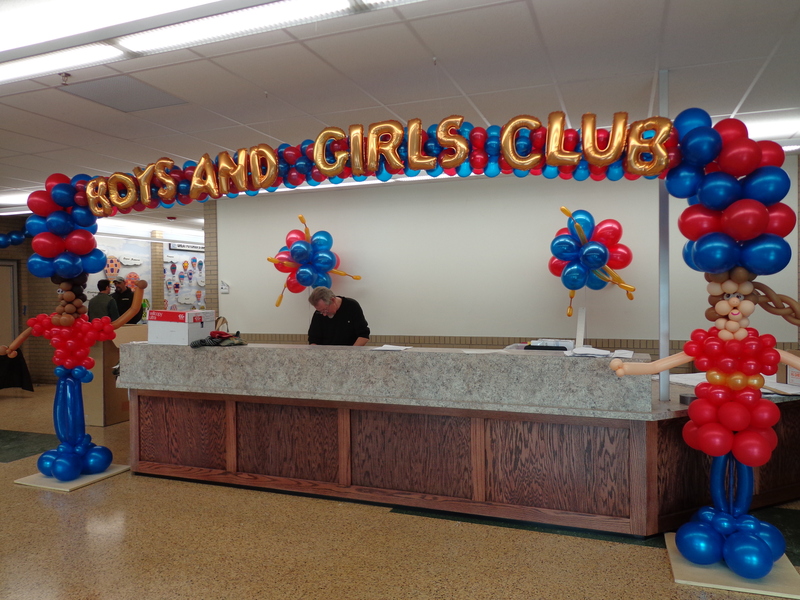 This BALLOON WALL was out of this world! 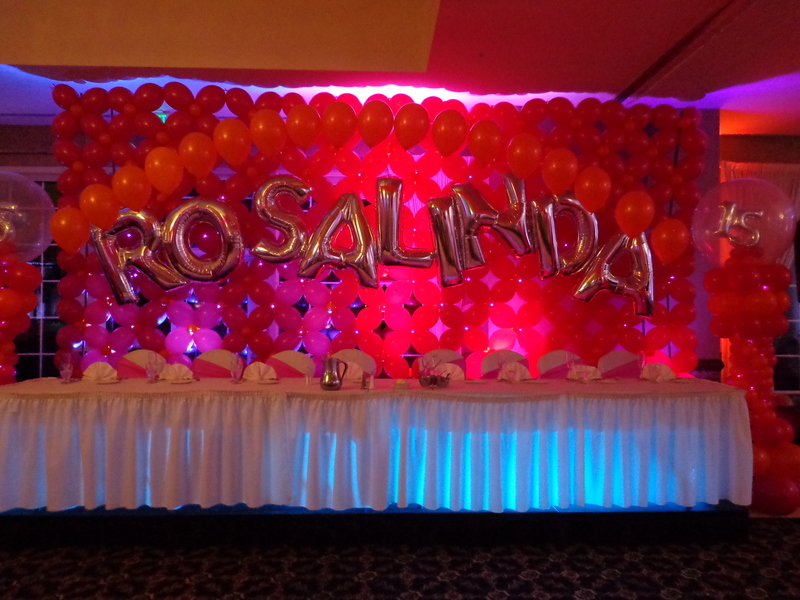 We used 36 inch letters on the balloon wall to spell out Rosalinda’s name. It looks cool in this photo…..but AMAZING in person. Here we spelled out our customer’s NAME on the side of this design. 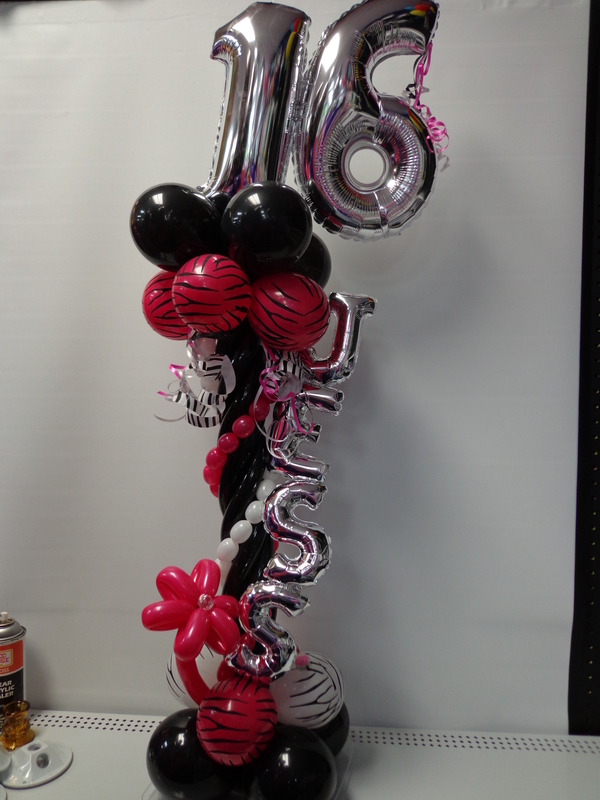 This design is great for tables….a gift table, dessert table, etc. 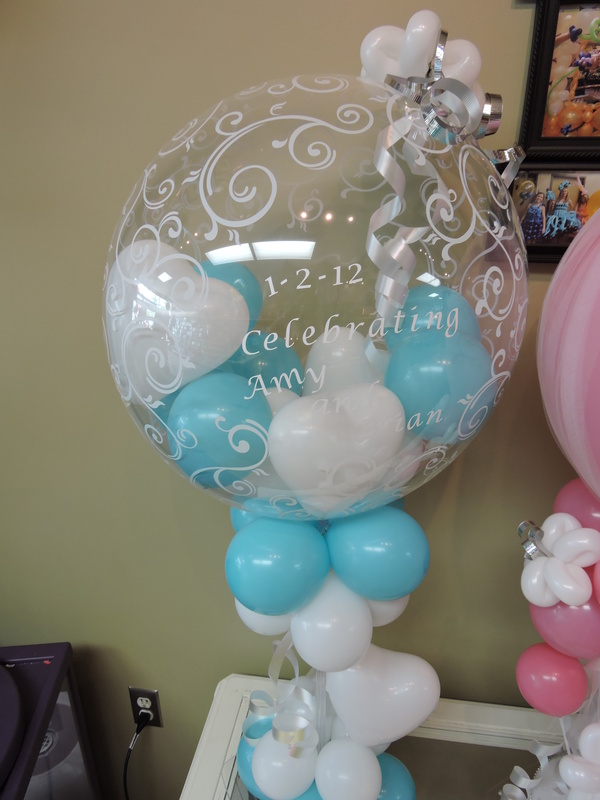 Below, the date of the wedding and the name of the wedding couple is put onto the clear balloon. The name EMMA is written in glittery vinyl. 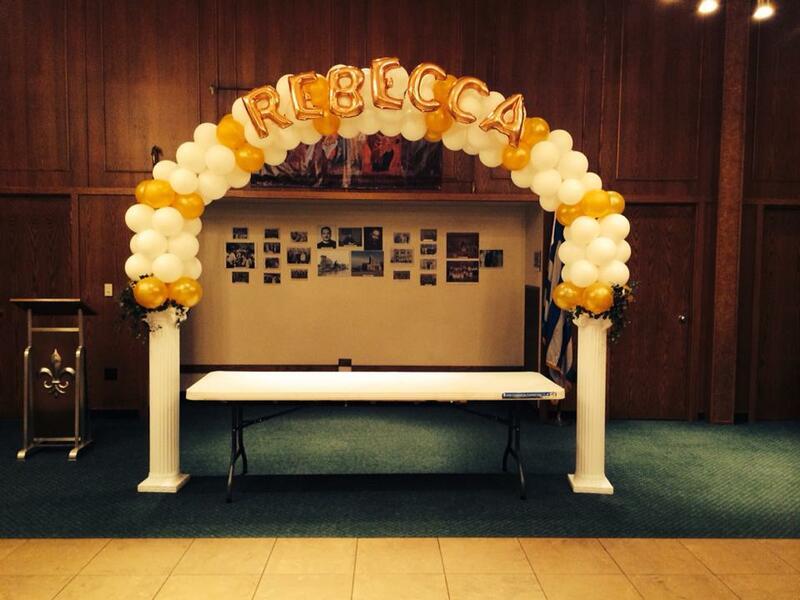 The name REBECCA is made out of junior letter balloons and placed onto the balloon arch. 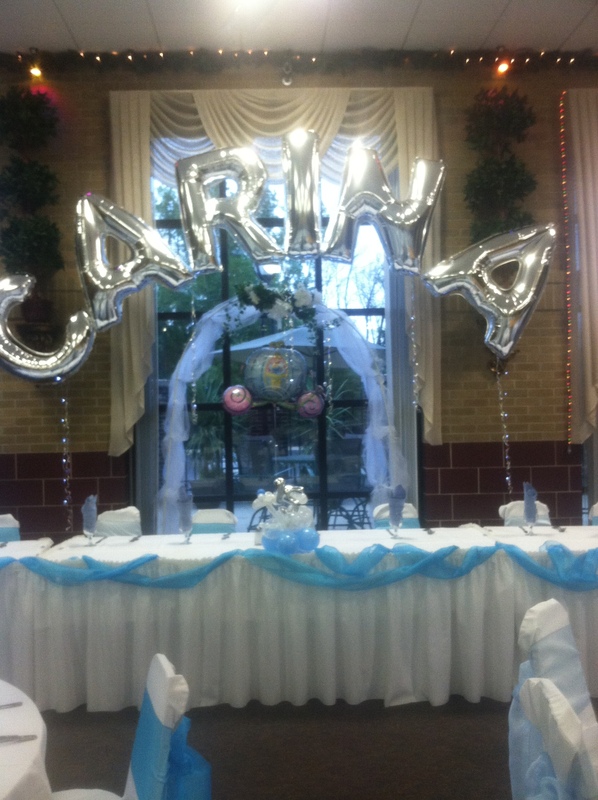 Want to see YOUR NAME in BALLOONS?! Be sure to give us a call. For over 5 years, we’ve been making our customers smile. We can’t wait to serve YOU! !